Cutting the cake for Traveller men's health. 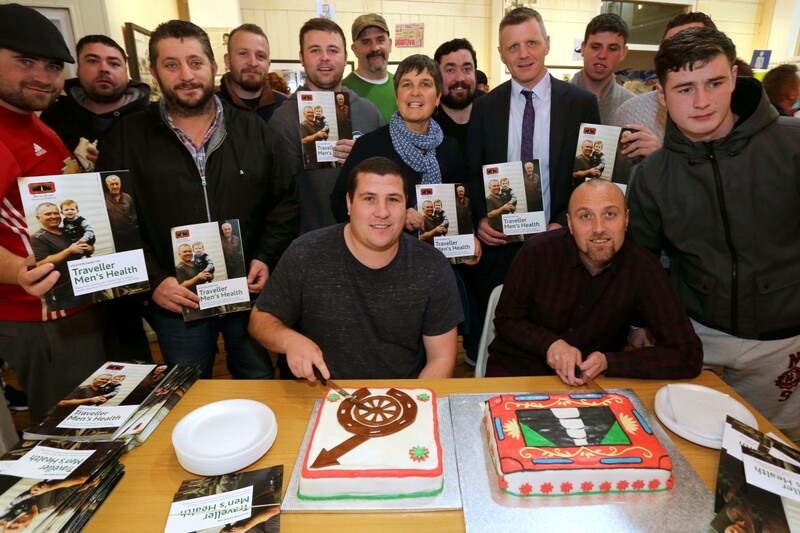 (LtoR) Michael Keenan, Paul Stokes, Davy McDonagh, Johnny McDonnell, John Collins, Rory O'Bryne, Ronnie Fay, John Paul Collins, Fergal Fox, Martin Reilly and Richard O'Leary with Michael Collins and Patrick Reilly cutting the cakes. ©Photo by Derek Speirs. 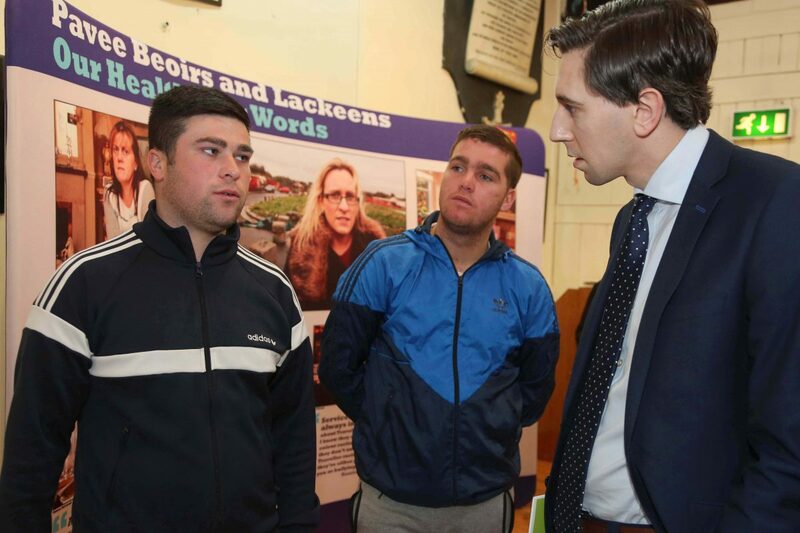 John Reilly, Patrick Collins and Minister for Health, Simon Harris, TD. ©Photo by Derek Speirs. 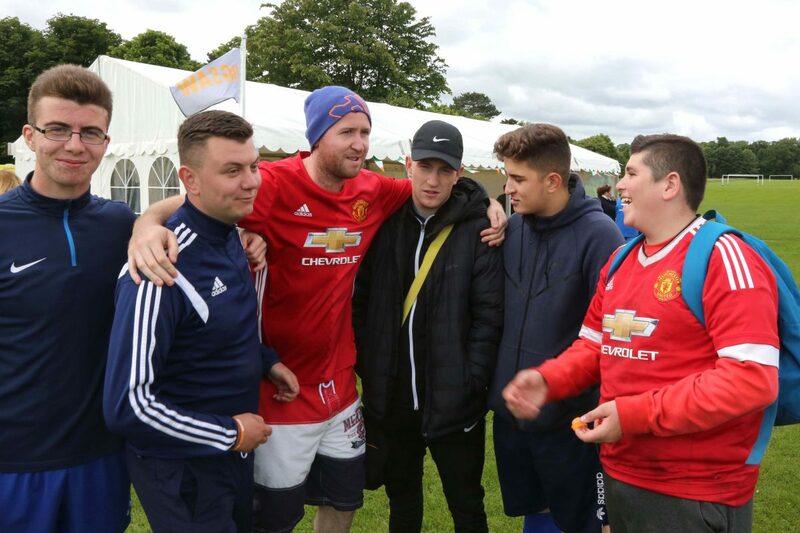 Traveller Men's Health Day event in the Phoenix Park. Here the winning football team, Dunsink Rovers. ©Photo by Derek Speirs. 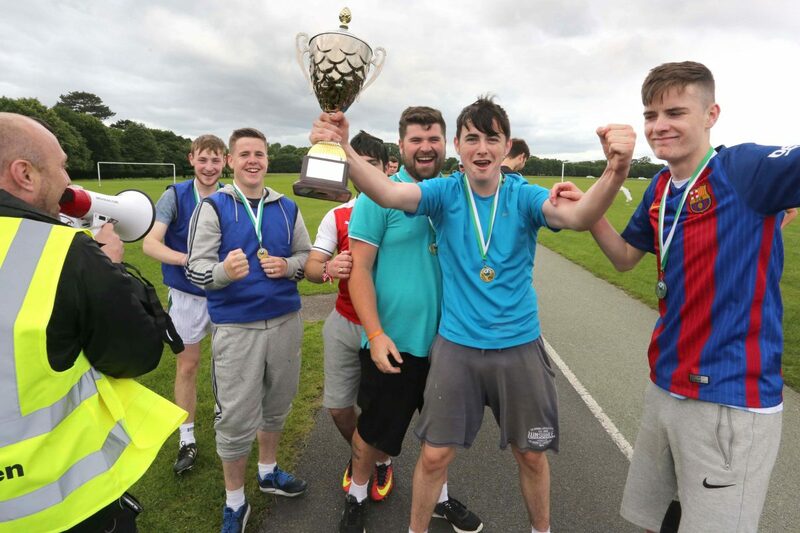 Traveller Men's Health Day event in the Phoenix Park. ©Photo by Derek Speirs. 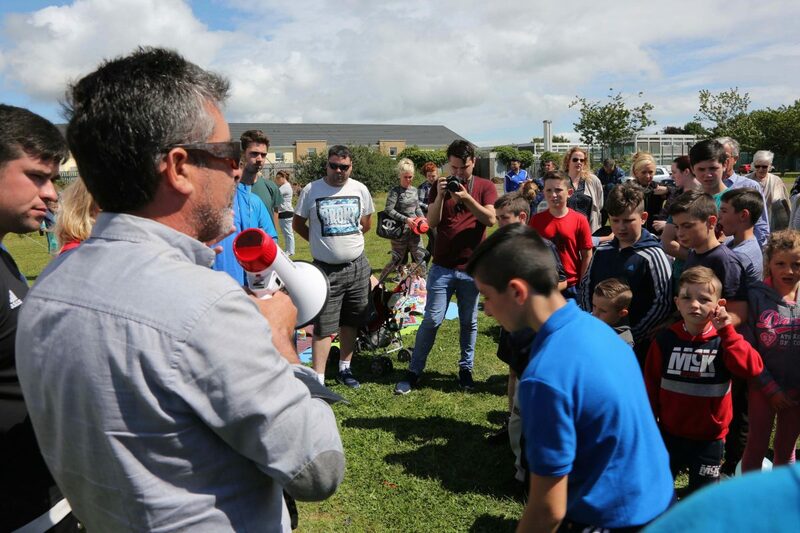 Community Hearts Day event at Abigail Centre, Finglas, organised by Pavee Point Traveller and Roma Centre, supported by Irish Heart and CDETB. Here Martin Collins, Pavee Point, speaking. ©Photo by Derek Speirs. Address the health inequalities of Traveller men. 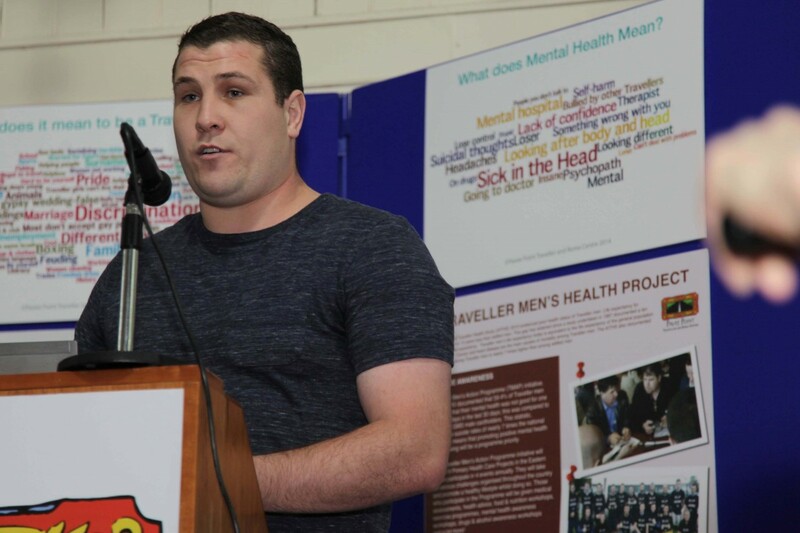 Develop tools to promote the participation of Traveller men, with a focus on empowerment and self-esteem, on issues that affect their health. Identify, build and support inter-sectoral and inter-agency partnerships to create better opportunities and outcomes for Traveller Men. Identify issues and recommendations through a collective response which can inform policy makers, service providers and other stake-holders.